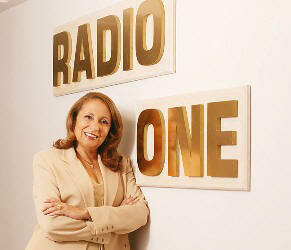 Radio One founder and Chairperson Cathy Hughes was among four recipients of the Kappa Alpha Psi fraternity’s Humanitarian Award at the group’s convention earlier this month. The award presentation was held August 4 at the Marriott Wardman Park Hotel in Washington, DC. The other Humanitarian Award recipients were President Obama, Sen. Mary Landrieu, and Dr. Ian Smith.